BioBag Compostable ‘Fruit & Veg’ Bags. Now Available Online. [BioBag] Are you a independent retailer selling fresh, loose produce? Or do you run a farm shop or market stall? You’ve probably noticed that the issues of reducing plastic packaging and sustainability are becoming more and more important to your customers. 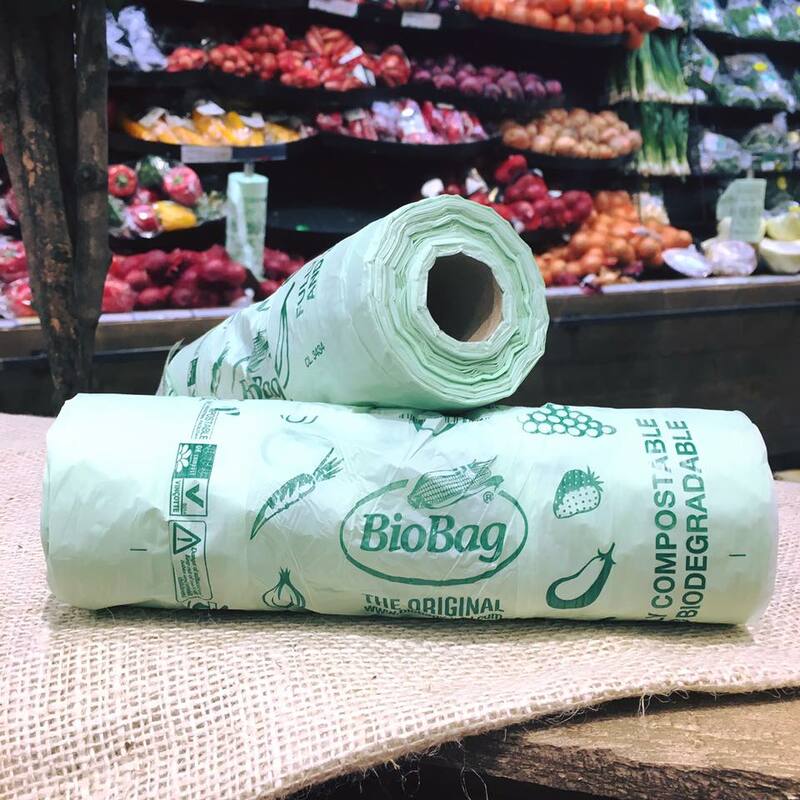 BioBag Ireland are now selling (March 2019) our popular compostable & biodegradable bags direct to businesses on our website, with free delivery. This makes a huge difference to smaller sellers who found the previous minimum order size to be un-affordable for their businesses. 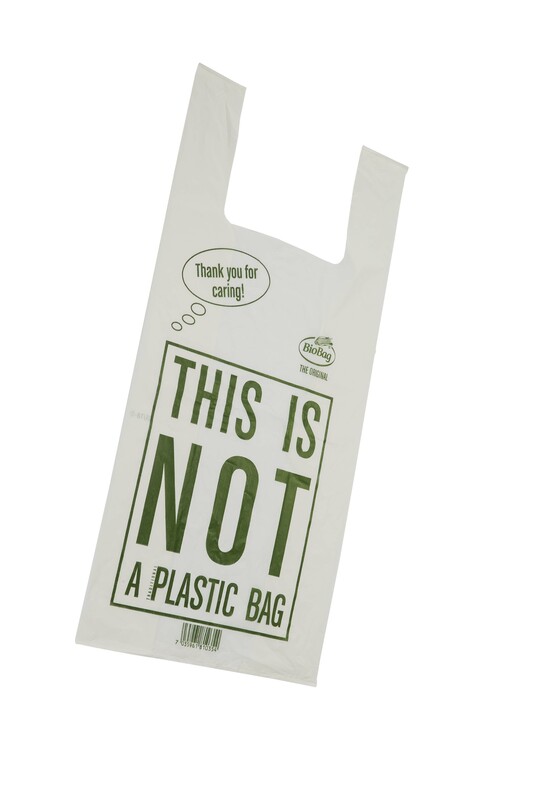 We have also started to stock compostable carrier (shopping) bags which are suitable for convenience stores, butchers, fish shops, bakeries, etc. All of these items are now available to purchase direct in our online shop at www.biobag.ie/shop. BioBag bags are the original and best compostable and biodegredable bags. In the last year, our bags have been introduced by many Irish retailers to enormous public support. Shops using BioBag bags in their fruit & veg aisle include SuperValu stores nationwide and many premier independent retailers, Our range of produce and carrier bags for retailers are the same great quality as our best selling consumer range of bin bags and wheelie bin liners. BioBag bags are compostable as well as being biodegredable. This means that they will break down to just water and CO2 in around 12 weeks (in the right composting conditions). BioBag bags can go straight into a Brown/Compost Bin OR go into a home composter. They will break down in both environments. Our bags are CERTIFIED for both industrial and home composting by the major certifications authorities worldwide. BioBag bags are made from sustainable, plant-based, natural resources (they start life a a thistle). GMO free too! Our bags contain NO MICRO PLASTICS unlike bags that may be marked as oxo-degradable or recyclable. So if you would like to take your business in a plastic-free direction, please get in touch. We can answer any questions you might have and help you to choose the right products for your business. Give Rory a call on +353 (0) 876 7700213 or email rory@biobagworld.com. I’m trying to reduce my use of plastic bags: do you sell to people privately or only to retailers?